WHEN INVESTIGATIVE JOURNALIST AHMED HUSSEIN-SUALE was gunned down last week by gunmen on a motorbike who rain bullets on his vehicle while he was driving, President Nana Addo Dankwa Akufo-Addo moved swiftly to condemn the killing of Anas Aremeyaw Anas’ Tiger Eye’s team member. PRESIDENT ADDO took to the social media, Facebook post to extend his condolence to the family of the deceased and called on the police to bring the perpetrators to book. “I’ve learnt with sadness of the killing of Ahmed Hussein-Suale, an associate of investigative journalist, Anas Aremeyaw Anas. I condemn the act unreservedly, and extend my condolences to his family. I expect the police to bring to book, as soon as possible, the perpetrators of this heinous crime. Once again, my heartfelt condolences,” the President said. IN RECENT MONTHS, Liberia has witnessed not one but at least two major incidents of a violent nature linked to sitting members of the George Weah-led government. In both instances, there have been no statement or show of concern from the Liberian presidency. LAST NOVEMBER, mayhem was unleashed in Montserrado County District No. 13 when supporters of the ruling Coalition for Democratic Change left their assembly point in Iron Factory and marched into the New Georgia stronghold of representative candidate Cornelia Kruah. SENATOR NYONBLEE KARNGA-LAWRENCE, the leader of the opposition Liberty Party had to be whisked to safety immediately following the attack. NEARLY TWO MONTHS LATER, Representative Yekeh Korlubah reported Monday that his home in the Old Road Community was rained with bullets as he spoke of an assassination attempt on his life. JUST HOURS EARLIER on Sunday, supporters of Monrovia City Mayor Jefferson Koijee were again accused of leading an onslaught in the community where Rep. Korluba was hosting a party for children in the community. REP. KOLUBAH explained that they had gathered on the Ford-Madden Christian Academy campus on Smythe Road, Old Road to kick-off a program that he had organized for the kids in the district when a group of young people he described as “CDCians” came and disrupted the program. “On the Old Road today, I was having a program for the children in my district; while we were gearing up for the program, we saw some CDCcians, who can be recognized and identified by me. They came in and it was only by the help of my security that I was protected,” the lawmaker said. THE LAWMAKER SAID he called the Director of Police Patrick Sudue on nine different occasions, in the presence of Hon. Thomas Gosuah but they refused to come the aid of the lawmaker under attack. The lawmaker said the Director of Police reportedly told him that the President had given him instruction not to arrest anyone on the scene because those who had come to disrupt are all CDCians. ADDING MORE INSULTS to injury, Mr. Eddie Trawally, Assistant Minister for Corrections and Rehabilitation was seen on video among those launching attacks. IN ALL OF THIS the President has failed to show leadership in speaking out against actions meted out against his critics by members of his administration. THESE REPORTS OF VIOLENCE have the tendency of exploding out of control if nothing is done to curb what is unfolding in Liberia today. THE INTERNATIONAL COMMUNITY has invested millions of dollars in helping Liberia sustain the peace. THE TRANSITION TO PEACE BEGAN on August 1, 2003, when the U.N. Security Council passed a resolution to support a ceasefire. West African peacekeepers were the first on the ground, eventually being subsumed within the overall UN Peacekeeping mission. The Accra CPA of August 18, 2003, established the National Transitional Government of Liberia until national elections could be held in October 2005. The CPA also called for the United Nations to set up a peacekeeping operation in the territory. In October 2003 the United Nations Mission in Liberia (UNMIL) became the largest such peacekeeping mission ever established. By 2005 the UN mission was fully deployed and began a demobilization process, as well as coordinating national elections. These elections were won by Ellen Johnson Sirleaf, another Americo-Liberian who had previously been a minister in the Tolbert government. DURING THE TWELVE years of former President Ellen Johnson-Sirleaf, Liberia remained relatively stable, and President Sirleaf presided over an influx of international aid and funds. THE COMMISSION was established in 2005 and conducted hundreds of hearings in Liberia and with the Liberian Diaspora in the U.S., including hearing admissions of guilt from perpetrators of enormous atrocities. In 2009 the TRC issued its final recommendations to the government. 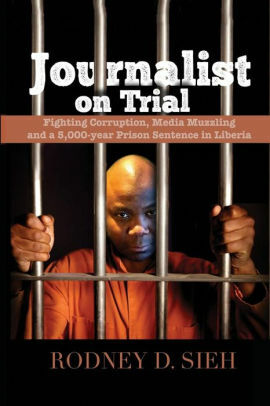 One of its recommendations was to establish an “Extraordinary Criminal Court for Liberia” to try those accused of committing very serious crimes during the war. WHILE THE PREVIOUS and current government have dragged their feet on the implementation of the TRC findings, echoes of violence continue to ricochet and bring unnecessary embarrassment to the government. REPORTS OF THE DISAPPEARANCE OF BILLIONS of dollars in local currency and the unexplained disbursement of US$25 million aimed at being infused into the economy to help curb the rising exchange rate have heightened distrust in the government with many unsure what to make of the delays in the release of the missing billions report. 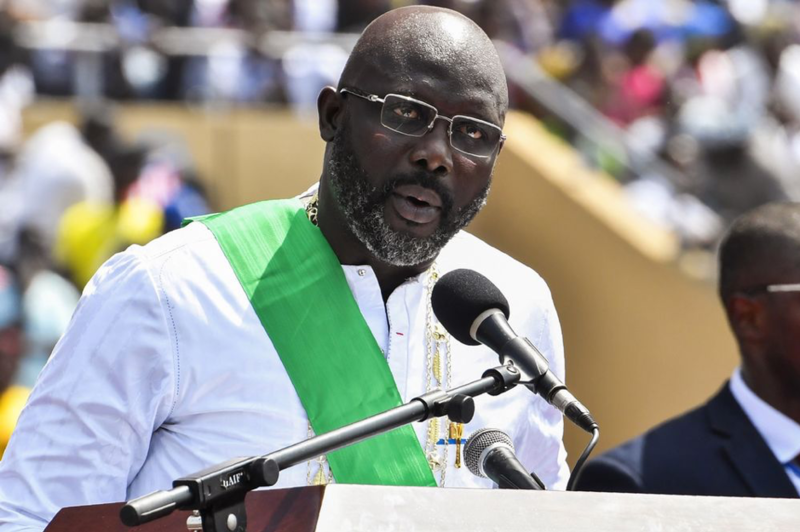 PRESIDENT WEAH cannot afford to remain silent in the midst of so many unfolding developments bordering a violent turn. LEADERSHIP IS REQUIRED and necessary on this matter. The ruling government owes it to Liberia to maintain the peace and allow voices of dissent to speak against the ills in society. The democracy many fought for and lost their live to restore and preserve must be protected at all cost.